Speyside's popular whisky festival is a great opportunity to soak up the atmosphere of all things whisky! With many events to choose from, including the opportunity to visit distilleries seldom open to the public, attend masterclasses and meet the experts, there is something for everyone. And what better way to experience the festival than by staying here, in the old family home of one of Speyside's foremost distillers, John Smith, within sight ( and smell! ) 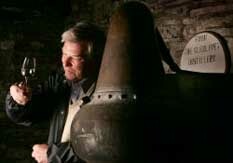 of his crowning achievement, Cragganmore Distillery? 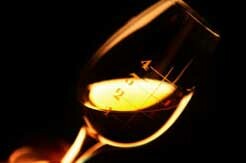 The whisky festival runs from 29th April - 3rd May 2010. Please enquire for full details and for prices and availability of bookings during this period. Sweep your loved one off their feet with a luxury 2 or 3 night weekend or short break in our Romantic Turret Room. Enjoy gourmet intimate candlelit dinners in our beautiful dining room or even in your own Turret for that extra special occasion. With complimentary champagne and chocolates in your room, you will feel pampered from the moment you arrive! We can also arrange a Champagne Breakfast in Bed for a real sense of indulgence. Prices quoted are per couple, per package. Please enquire if you would like to stay longer. Champagne breakfast in bed: �18 supplement. Join award-winning chef, Tony Allcott, in the kitchen, to see how you too can create gourmet meals for friends and family. Demonstrations are limited to small groups only, ensuring that you get the maximum benefit from your day or weekend course. Tony's approach is friendly and personal, and packed with expert tips and advice. Courses are themed around seasonal menus, or specific interests such as Aga demonstrations. If you have a particular interest, please enquire. Courses are generally run for groups of 6 - 8. Indulge in the high life and enjoy a weekend/holiday away with your friends or family. With all the style and elegance of a real Country House, and the added luxury of being our only guests, our lovingly restored Country House will be your home for the duration of your stay. 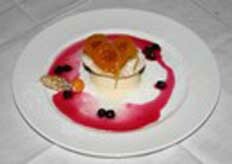 Gourmet meals using only the best from Scotland�s larder, and our friendly service will enhance the experience. Step into the lifestyle of the rich and famous and we will do the rest! Prices quoted are per party, based on a party of 8. Please enquire if your party is of a different size. 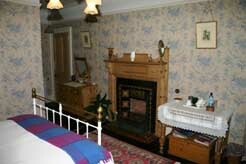 We can also arrange an itinerary for your stay, please enquire, giving details of your interests. All discounts subject to availability.